More than 900 people have signed a petition to protect artwork on the Millennium Boardwalk in Cardiff City Centre. The boardwalk has hosted artists and hip hop musicians from around the UK. Artists say there were plans in the pipeline for cultural festivals and events to take place in the area. 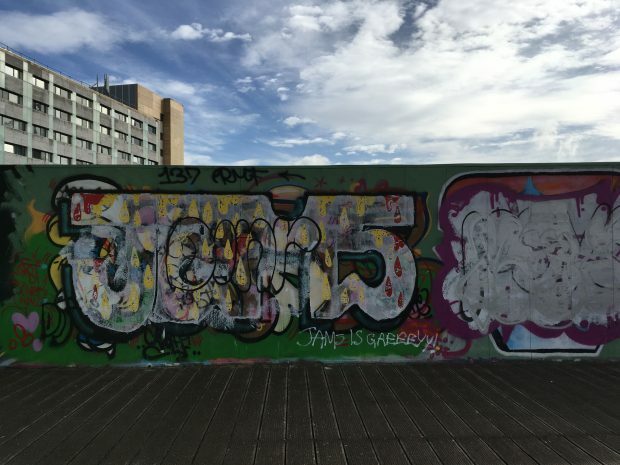 Graffiti artist Amelia ‘Unity’ Thomas started the petition, she says the boardwalk’s a non-threatening environment for people to get involved with graffiti culture. Keiron Jones, who runs the first ever Welsh graffiti store in Cardiff city centre says there are serious messages behind some of the artwork. Mr Jones, from Oner Signs & Leisure on Church Street, says some of the art is memorial pieces to people who have died.